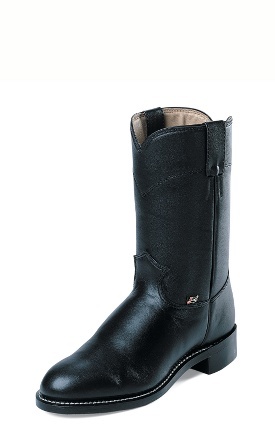 Women’s Classic Black roper boot. J11 Roper toe, 10? upper, single stitched welt, unit heel, cushion insole with rubber outsole.